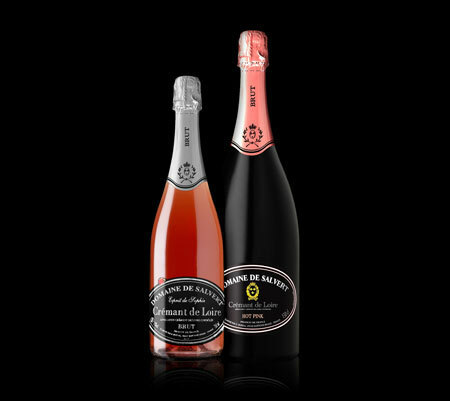 The Domaine has decided to expand and offer the Crémant de Loire from its cellars. Thus, from harvest to purification we control each stage of this "Traditional Method" of production. After a harvesting by hand into crates from the best Chenin and Chardonnay grapes we avoid the starts and finishes of the presses by separate Vinification of the two varieties. Thus the blending is then subject to a further fermentation in the bottle after the "drawing off " during the "prise de mousse". After more than a year on the "lattes", the bottle is "degorgée". During this last operation the addition of a weak "liqueur d'expédition" achieves the "brut" characteristic of this wine allowing the flowery flavours of the Chardonnay allied to the nervousness of the Chenin to express themselves delightfully. All of this may remind you of the "method" which is better known! You could be right! As to the grape varieties, the climate and the terrain remain the same. 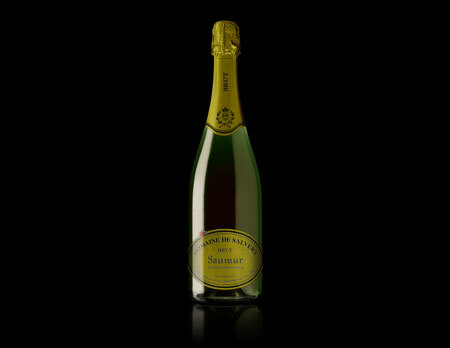 I only needs you to discover that the banks of the Loire can also make bubbles, the results could be a great surprise! Drink this very cold when you need to celebrate great moments in life! The Loire Valley in general and the Anjou area in particular are well known for both their "still" and "sparkling" rosés. The temptation was great to create a wine with the flowery flavours of our rosés and the finesse of our sparkling wines made by "traditional methods". The Crémant de Loire rosé was born at Salvert in 2006. The blend we have created uses the classic grapes of the Chenin and Grolleau Gris, both essential in the creation of a Loire based wine but we added the Cabernet Franc grape for structure and it is then extracted after a short maceration of the skins to produce a delicate rosy shade. Now we have to be patient. The wine will not be ready prior to the spring on 2008! From here to there, the "prise de mousse" and above all a long time on the "lattes" has to have time to do its work! 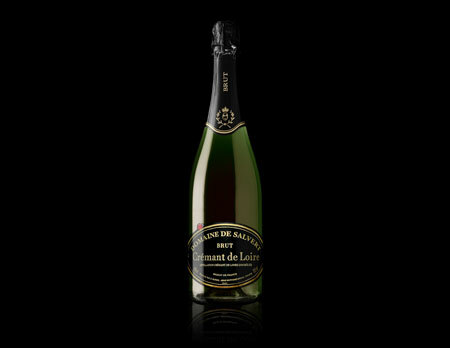 There are two points of difference between the Crémant de Loire and our Saumur Brut. The harvesting of the grapes for the Crémant de Loire has to be done by hand ; the Saumur Brut can be done in whole or in part by machine. In the Crémant we have blended the classic Chenin (80%) and Chardonnay (20%), with the Saumur we have blended the grape varieties in equal proportions with the addition of the Cabernet Franc. This last name is a red skinned grape that produces a white juice when pressed gently in our pneumatic presses. All the following operations are identical for the two wines when the "prise de mousse" and a minimum year on the "Lattes" plus the "dégorgement". The difference comes with the differing blends by using the traditional method adding the more floral notes of our Saumur and the "brut" flavour for a more open expression.